Now that you’re ready to add a piece of Native American jewelry to your collection, it’s time to shop around for the right piece. Before you spend days traveling from store to store in hopes that they have the necklace, bracelet or earrings you want, take a moment to shop online. You want to be able to instantly browse thousands of jewelry pieces before deciding which style you’d like to purchase. Shopping online lets you view a large inventory of jewelry pieces without having to search from store to store. 2. You can compare prices online. No one wants to overpay for jewelry. Shopping online allows you to instantly compare prices from a variety of jewelers. 3. You can determine authenticity online. Some jewelry providers may knowingly or unknowingly sell items that were not truly created by Native American artists. Shopping online allows you to verify the authenticity of a piece by researching the jeweler and discovering where they source their inventory from. 4. You can purchase quality handmade pieces from the source. Each Native American tribe’s jewelry is as unique as their heritage and native land. Purchasing jewelry online from a New Mexican dealer allows you to find pieces from the Navajo and Zuni tribes that may not be available in your area. 5. You can stay informed of new jewelry arrivals. No two pieces of handcrafted Native American jewelry are the same. Online jewelers can instantly email you new pieces as they arrive, helping you find the exact piece you’re searching for without ever leaving home. ABQ Gold & Silver Jewelry Exchange has a wide inventory of Native American jewelry in Albuquerque available for purchase. Shopping with us online on our website and on eBay allows you to explore our collection, find the right piece for your style and purchase authentic Native American jewelry at fair prices. If you’re hoping to purchase Native American jewelry that authentic artists have created, view our inventory on ABQ Gold & Silver’s website today! For many, a piece of jewelry is a prized possession. Men and women love trying on new rings, necklaces, and earrings to discover how they can enhance their personal style. Jewelry also makes the perfect gift to give a loved one for almost any occasion. Though there are many places to purchase fine jewelry, we suggest that you consider working with a custom jewelry designer. If you haven’t yet worked with a custom jewelry designer, you’re in for a treat! They enable you to get the exact piece you’ve been dreaming of that fits perfectly. When you visit a custom designer, you don’t just browse —you receive a unique experience that is tailored to your needs! When you’re shopping for new jewelry, you deserve to have the undivided attention of a dedicated staff member. Our jewelers at ABQ Gold & Silver Jewelry Exchange will take the time to sit with you and help you determine what your ideal piece of jewelry should look like. You can bring in photographs or similar jewelry to help us understand exactly what you’re looking for. Why settle for stock jewelry when you can design exactly what you want? After we discover what your ideal jewelry piece should look like, we’ll show you a variety of gemstones that fit both your style and budget. Our expert jewelers will explain the differences between each stone and help you pick the one you’ll fall in love with. Now that we know what you want, we’ll delve into the details and make sure the size, stone, shape, and setting are perfect. Once you approve the design, we’ll begin the design process and have your custom jewelry ready to wear in as little as four weeks! ABQ Gold & Silver offers custom jewelry in Albuquerque, which customers have trusted for years. We encourage you to visit our shop and schedule an appointment with one of our knowledgeable jewelers. ABQ Gold & Silver Jewelry Exchange — your source for the custom jewelry Albuquerque collectors love! For many, a watch is more than simply a way to tell the time. It can be a symbol of accomplishment and achievement. It can be a treasured gift that fills the mind with happy memories. It can be a bold fashion statement or a simple piece of everyday jewelry. If your watch means everything to you, it’s important that you keep it free from damage. ABQ Gold & Silver Jewelry Exchange knows how much your luxury watch means to you. We want to make sure your timepiece continues to capture every moment of your life. As you wear and store your watch, be sure to keep the following tips in mind to avoid damaging the piece. Be careful how and where you store your watch. Like most pieces of jewelry, special care must be taken when storing your watch. Leaving it on a counter or nightstand could increase its chances of falling, collecting dust or getting scratched and dented. Always store your watch in a covered case with soft lining. Be cautious of magnetic fields. Magnetic fields from devices in your home like radios, cell phones, and computers can harm the escapement of a watch if the two are placed too close together. Check the Gauss rating of your timepiece to determine its anti-magnetic features. Don’t press the chronograph buttons while underwater. Many assume that a depth-rating means you can utilize the whole timepiece while submerged. Pressing the chronograph buttons can break the seal and ruin the watch. Don’t wind the watch on your wrist. This could cause you to put unnecessary pressure on the watch stem. Instead, keep the watch on a flat surface while you wind it. Don’t change the battery or repair the watch yourself. You can easily damage many components of the timepiece if you attempt to take it apart. Let a trained watchmaker or jewelry repair service complete these tasks for you. The watch repair Albuquerque timepiece owners trust is available at ABQ Gold & Silver Jewelry Exchange. Bring your watch in today and allow us to repair your luxury timepiece. 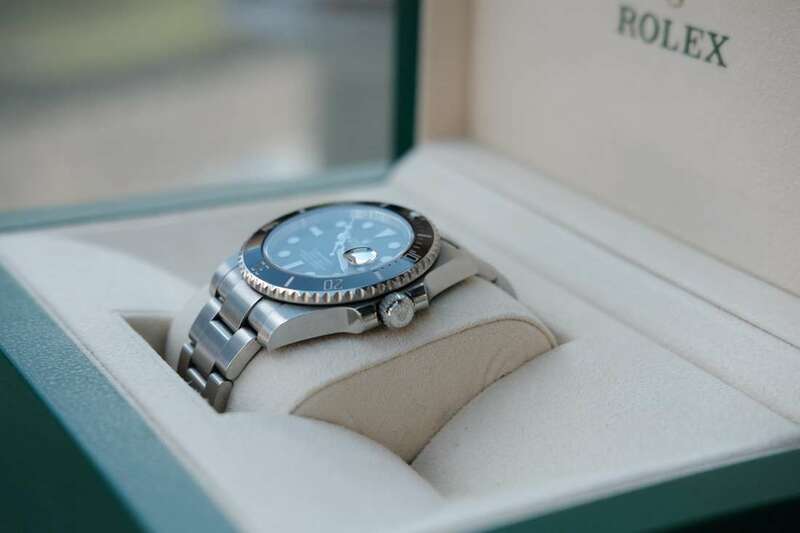 Whether you’re shopping for your first luxury watch or if you’re looking to add a new timepiece to your prized collection, ABQ Gold and Silver Jewelry Exchange has the collection of luxury watches Albuquerque men and women love. Our stunning selection of state-of-the-art timepieces has made us New Mexico’s premier destination for designer jewelry. The International Watch company creates dynamic watches that cater to dynamic lifestyles. They combine modern technology with timeless design to craft extraordinary timepieces that capture the American pioneering spirit and essence of Swiss craftsmanship. If you don’t already know Rolex, then you haven’t truly experienced the high-performance capabilities that have made these prestigious timepieces world-famous. Every watch in the Rolex collection tells a story — maybe it’s time to let a Rolex tell yours. Do you treasure time above all else? Then let Omega help you capture each second with their superbly designed timepieces. Their expansive collection of watches has set more precision records than any other timepiece. They continue to chart moments through history by becoming officially certified by NASA for all manned space missions. From comfortable sports watches to striking chronographs, Tag Heuer has a watch for every man and woman’s lifestyle. They’ve revolutionized watchmaking since the mid-1800s and continue to create iconic timepieces that advance the limits of technical and aesthetic capabilities. If you want a luxury watch in Albuquerque, that has a reputation for consistent perfection, look no further than Patek Philippe’s collection of dazzling watches. The beauty that each watch exhibits is as diverse as those who wear it. From classic pocket watches to art deco-inspired wrist watches, Patek Philippe is sure to make a statement around any wrist. There’s only one place in New Mexico where you can find the top luxury watches Albuquerque timepiece admirers love. ABQ Gold and Silver’s extensive collection of authentic watches includes five of the best luxury watch brands that you should know. Stop in today to discover our breath-taking selection of watches that will make time stand still. How you can Save on an Engagement Ring? Looking for ways to save on engagement rings? Chances are you’re a savvy shopper and looking to save money for other aspects of the wedding day. If you’re looking to get the best deal possible then it means you will have more money left over to spend on your marriage. 1. Always stick with your budget. Making a commitment to stick to your intended goal will help you and your partner from throwing the budget out the door. 2. Have a basic understanding of the 4 C’s of diamonds. Cut- This is a measure of the technique in which the diamond is cut — for example, the way the stone is faceted will affect how much light reflects its angles and how shiny it is overall. Color- This has to do with the color or lack of color in the diamond. A colorless diamond is higher quality than a diamond with yellow tints. Clarity- This refers to the clearness of the diamond. Inclusions or blemishes present in the diamond make it imperfect. Carat- refers to the measure of physical weight of the diamond. The more it weighs the more expensive the diamond will be. 3. Compare prices. Do your homework when it comes to diamond shopping. Shop retailers to determine which one is providing the best value. At ABQ Gold & Silver we make it easy to express your love with an exceptional collection of engagement rings in Albuquerque. Visit our store to find the best price and shop from classic solitaires to contemporary ring styles. Getting jewelry is a special occasion. When you first receive it, it can be the most valuable thing you own and even hold sentimental value. But if you wear your jewelry every day, it’s expected to get some wear and tear. The nature of jewelry you own will determine the type of care and maintenance needed. Over time, all jewelry will need to be serviced. If you’re looking for jewelry repair in Albuquerque, trust ABQ Gold & Silver to examine and repair your jewelry properly. Follow these tips for jewelry repair that may help you keep your significant pieces longer. 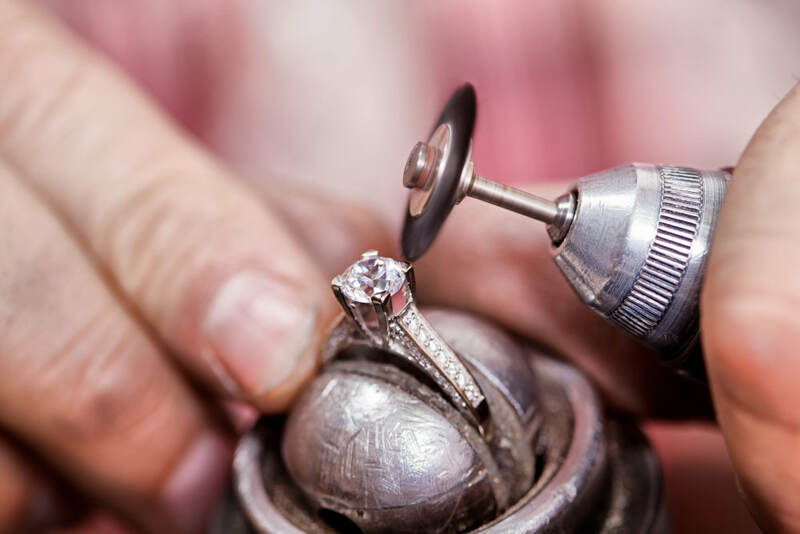 Jewelry must be serviced by a professional jeweler. The condition of your jewelry should be carefully inspected and communicated before any repairs are started. Doing this will protect both you and the jeweler. Jewelry and gems should be stored in a safe place to help increase its life. Airtight containers are useful to prevent oxidation of silver. Avoid harsh chemicals and swimming pools when wearing your jewelry. Chemicals can discolour metals and gems destroying the integrity of the jewelry. Precious metals like silver, gold, and platinum can be polished with a cloth to bring back its shimmer. ABQ Gold & Silver is Albuquerque’s preferred business for jewelry repair Albuquerque. Our team of experts take the time to inspect the condition of your jewelry and set the right expectations with our customers. Our job is dedicated towards taking the time to properly repair our clients jewelry. We are a reputable repairer of jewelry and look for potential problems to keep your jewelry lasting. We are the jewelry repair professionals and customers come to ABQ Gold & Silver for best-class repairs and guidance. Stop in anytime and we will check the condition of your jewelry and give you a free cleaning. Diamonds come in many shapes and sizes. 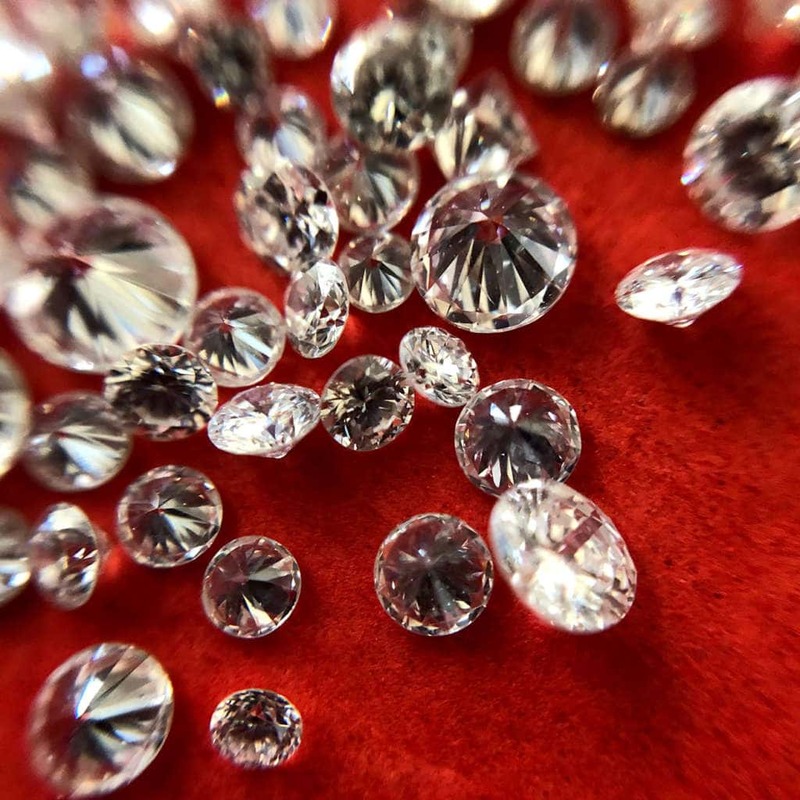 All diamonds have intricate combinations of qualities that make them unique. ABQ Gold & Silver Exchange wants to make sure our clients can check the quality of their diamond. If you’re searching for diamonds in Albuquerque, ABQ Gold & Silver Jewelry Exchange has professional jewelers and gem experts to help you. The professionals at ABQ Gold & Silver have the knowledge and years of experience to asses any quality of diamond. Before you make your special purchase, follow the 4C’s of diamond quality to check the value of your diamond below. Color: Diamonds come in many colors. Diamonds that range from colorless to yellow fall within the normal color range. Colorless diamonds are the unique and the most valuable. Colorless diamonds set the standard for classifying and assessing other diamonds in the standard color spectrum. Clarity: Diamonds have inner features, called inclusions, and surface irregularities, called blemishes. Clarity is the absence of these inclusions and blemishes. Blemishes also include scratches or grooves on a diamond’s exterior. Cut: The term cut can sometimes describe the diamonds overall shape. However, a diamond's cut grade determines how well a diamond's surfaces reflects with light. This is how well the diamond shines and glimmers. Carat Weight (size): Diamonds are weighed to a thousandth (0.001) of a carat and then rounded to the nearest hundredth, or point. Fractions of a carat can mean price differences of hundreds to thousands of dollars, contingent on diamond quality. If you’re searching diamonds in Albuquerque because you’re looking for loose or mounted diamonds, ABQ Gold & Silver Jewelry Exchange has the largest selection of diamond cuts, shapes, and sizes. We also have GIA certified diamonds. One of our diamond experts will help you find the diamond that fits your needs. We will also help you understand the quality you are getting for the price. How to Buy Birthstone Engagement Rings? Getting engaged is one of the most joyful times in your life. However, shopping for an engagement ring can be challenging and often emotional. 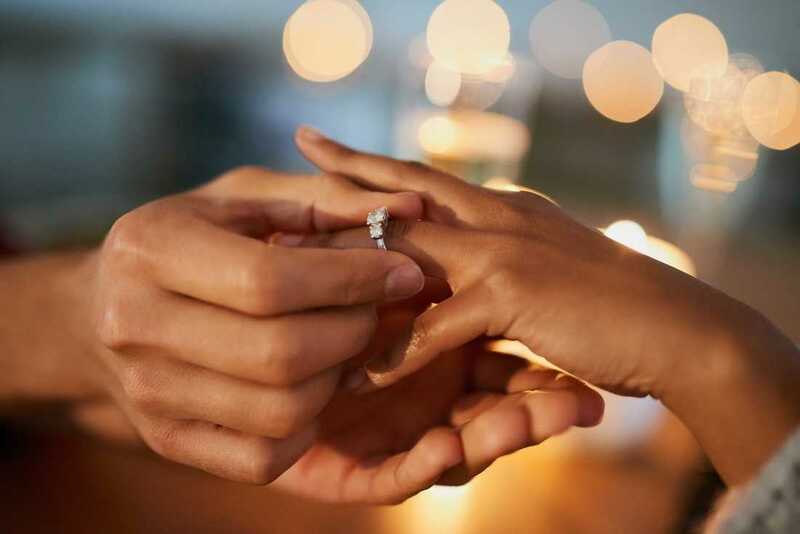 You want the ring to be a treasure that she will connect with for years to come. So if you’re searching for engagement rings in Albuquerque, ABQ Gold & Silver wants to help you consider a birthstone engagement ring. Choose A Birthstone: If you don’t know your fiancé’s birthstone, take a look below. She may also have a particular gemstone that is special to her that you may want to consider. Including both of your birthstones in the setting is also a sentimental option to consider. 3. Choose the Setting: The type of style or setting should speak to her personality and style. Choosing the right setting will bring out the dazzle of the gemstone! 4. Get Insurance: Insure the ring, regardless of how much it costs. Insuring your ring with a company that specializes in jewelry is beneficial in providing flexible coverage and the right protection. To get a true sense of the color, wear and style come into ABQ Gold & Silver Exchange. We have a variety of gemstones, designs and styles that she will surely fall in love with. At ABQ Gold & Silver, a premier jewelry store we specialize in jewelry and offer the best options for engagement rings in Albuquerque. Enjoy the unmatched selection of fine pieces ABQ Gold & Silver has for you. Our inventory of diamonds, gold, platinum, gemstones, and luxury watches changes daily. Visit us Today!